The culture in which Beth Claxton MD found herself in during medical training was one like this: ‘If it hurts take it out. Are the ovaries, fallopian tubes and uterus done making babies? Yes? Then the body no longer needs them, so it will be fine without them”. The focus was on fixing through surgical removal. While she never fully adopted that view point she found herself embedded in that culture. 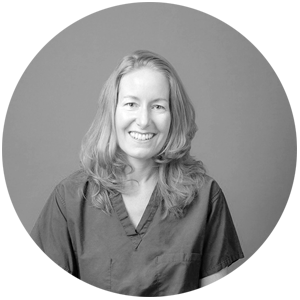 Through her own exposure to the Eastern medical model as well as a series of health challenges of her own, Dr. Beth has found alternate ways to deal with pain in the pelvic area and more often than not finds non-surgical ways to remove pain and with it the cause of discomfort. Over the years Dr. Beth has made it a priority to create relationships to her patients and listen to them deeply. In doing so, she finds many solutions which she would not if she were simply taking health records behind the computer. Dr. Beth shares client stories and how she incorporates knowledge from alternative practice into her western medical ways. We also chat about how Dr. Beth deals with night shifts and what she does to recover from them within 24 hours. In 2006, after 10 years in private practice as an OBGYN, Beth Claxton MD, transitioned out of private practice into working as a staff physician at a private community health center in small town Arizona. There she provides medical care for the undeserved, uninsured and under-insured. The shift was driven by spiritual and cultural reasons. She wanted the ability and time to look at her patient as a whole being which the constrained system she found herself in didn’t allow her to do.